VectorRod carbon fiber sucker rod is a cutting-edge rod technology that is superior to conventional steel sucker rod and fiberglass sucker rod. By design, carbon fiber rod strings are lighter, smaller, and stronger, which allows you to produce more from deeper wells. For added strength and reliability, carbon fiber sucker rod is assembled with proven steel end fittings that have been extensively tensile tested. 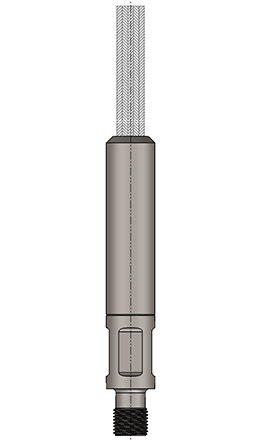 This revolutionary sucker rod product is currently in R&D and available for field testing. Lifting Solutions is researching the following sizes for VectorRod carbon fiber sucker rod: 5/8, 3/4, 7/8, and 1-inch. However, not all sizes are available for field trials. Contact us to learn more about trialing this product.